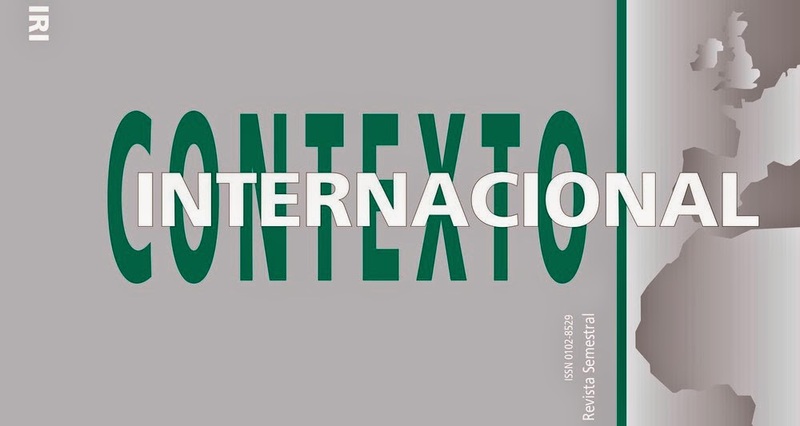 The Editors of Contexto Internacional: journal of global connections invite proposals for Special Issues for the year 2016. Editors welcome proposals that promote and encourage the development of International Relations (IR), with a particular scope in the dynamics and challenges experienced within and around the Global South. Submissions that contribute to an understanding of the plurality of perspectives present in the field of IR and that advance our understanding of the connections between situated knowledges and global affairs are therefore preferred. Up to two special issues will be published in 2016. Contexto Internacional is one of the leading journals in international relations within Brazil. Submissions in English, French, Portuguese and Spanish are accepted. Contexto is published in English three times a year. Proposals will be reviewed in the language of submission. If the review process results in a decision to publish, it is the responsibility of the author alone to translate the article into English. All contributions are submitted to double blind peer review and are rigorously evaluated by experts. Normally, a special issue includes 5-7 research articles speaking to a common theme / set of questions. The articles are selected through an open call for contributions. The articles should follow the standard guidelines for submissions and will be subjected to the same blind peer review process as normal articles. In collaboration with the Contexto editorial team, the Guest Editor(s) will formulate the call for papers and select the articles to be peer reviewed, oversee the review process, and be involved in finalizing the editorial. The total length of the proposal should not exceed 4000 words. Proposal for special issues must include: 1. Title of Special Issue, 2.Name, affiliation, contact details, and short bio of Guest Editor(s),3. Brief statement about the issue theme, 4. A rationale justifying the proposal, 5. Titles, abstracts, and five keywords of any article the Guest Editor would like to include and 6. Names, affiliation, and contact details of each contributor. Proposals for special issues are to be submitted by May 15, 2015. Acceptance decisions will be announced in June 2015.